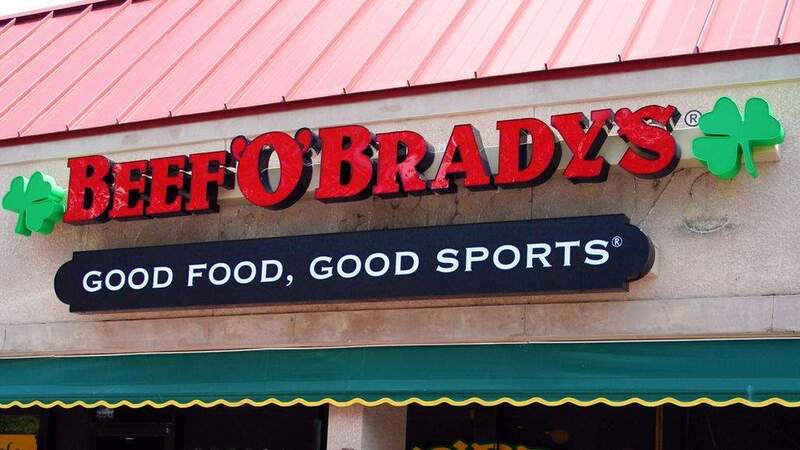 Perhaps it’s a sign of how much Tampa loves Beef ‘O’ Brady’s that everyone just calls it “Beef’s.”“Hey, let’s go to Beef’s to watch the game.” Personally, I’ve stumbled over the full name a few times, but that’s another matter. I stumbled over the Au Bon Pain restaurant name for years. There’s just no way to pronounce it without sounding like a rrreal ‘mmmerican or a Francophile snob. Be that as it may, Beef’s will soon give people another reason to check it out. The company is joining the growing ranks of restaurants launching “fast casual” restaurants, following right in line behind Panera, Chipotle and Five Guys. This one will be called “Beef’s Express,” and Beef’s CEO Chris Elliott says he doesn’t mind if people think of this as a Beef ‘O’ Brady’s version of Chipotle. One could do worse in the restaurant world. Have you seen the lines at Chipotle recently? It’s like a money printing press. I sat down with Elliott this week to hear a rundown, and he very much cautioned that this is an experiment, and that they’re starting with a single prototype in Lakeland — a test bed to try out everything from the menu and portion sizes to the furniture and traffic flow. He also explained what happened to the St. Petersburg YWCA location of The Brass Tap, since he runs that brand too, but more on that below. All this brings up the question: Why the heck are all the restaurant companies trying to be Chipotle all of a sudden. My time as a business reporter has taught me that one of the biggest dangers in explaining a corporate project is to reduce everything down to one factor. Life is far too chaotic and contradictory, and I won’t fall into that intellectual pothole today. So, let me count the ways the fast casual concept is taking off like a frenzy in the market — or rather, let’s let Darren Tristano count the ways. He’s a frequent source of mine, and he travels the country checking out restaurants and giving advice to owners for the consulting firm Technomic Inc.
ratio. So, launching Beef’s Express helps even out the revenue per hour. ♦ A smaller footprint means a restaurant doesn’t require an expensive stand-alone building, which opens it up to new sites such as malls, airports, strip centers and even travel centers. three-minute shelf life before they turn pasty and cold. other floor staff. Just cooks, a cashier and a cleanup person. I’m not saying that’s good for America’s job prospects; just observing the thinking of restaurant execs. ♦ Typically, fast casual food is a peg or two above typical fast food, and even KFC is getting in on the fast casual action. It built a test site in Louisville, Ky., called “KFC Eleven” with more upscale items. But let’s focus a bit closer on Beef’s. Elliott says the Express sites will only take some design cues from a regular Beef’s, but there will be no TVs (sacre bleu!). This is not the place to park all afternoon to watch a football game; that’s for the regular Beef’s. The Lakeland mock-up is a 2,000-square-foot prototype with 64 seats, the size of a small Chipotle. People walk up to a counter, order their food and pay at a cashier. A server brings out the food. But here, Beef’s is pushing the envelope. Unlike Chipotle or Five Guys, which basically have one food item (burritos or burgers), Beef’s will have more than a half dozen: Chicken wings, burgers, chicken tenders, fish and chips, Cuban sandwiches, Philly cheese steaks, sandwich wraps and flatbreads. So, about that YWCA Brass Tap location in St. Petersburg that closed last week. Elliott said it was a valiant effort, particularly because it was part of an adaptive re-use of a notable location, but the site just wasn’t seeing enough traffic. But it’s not going away forever. Likely, Elliott said, the Brass Tap brand will be relocated to a spot around the restaurant hub — Central Avenue, maybe close to the stadium. The Channel District will soon have a couple of more bar/restaurants to boast of. Maloney’s Local Irish Pub will open soon along Meridian Avenue in the Grand Central complex, taking the place of the former Rajin Sports Bar & Grill, with a likely opening of late May. There’s already a Maloney’s in Westchase if you want to see the look and feel. Soon after, a partner restaurant will open directly next door called The Hideaway, more of an upscale lounge. There’s one in Clearwater if you want to check that out. Both are owned by Todd Wingard and Brian Pfeiffer, who say it’s a “leap of faith” to go into that area, but with hundreds of new apartment units going up, the Riverwalk complete soon and Jeff Vinik’s projects nearby, they figure this is the sweet spot for young professionals. Fear not, Apple devotees, your International Plaza store is only temporarily closed. The site is undergoing another renovation and should re-open May 23. Unfortunately, if you don’t like crowds, there may be some frustrating news. Despite cries from the populace to triple or quadruple the size of the store, the site will retain its current footprint. Good news for Oxford Exchange fans. The oh-so-classic styled bookstore/tea shop/retail store/business club/restaurant now has a full liquor license, which means beer, wine and cocktails. Another change: The restaurant is normally only open for breakfast and lunch, (private events at night) but the owners have decided to experiment with dinner open to the public at large on Thursday and Sunday nights. Call early for reservations, because the menu looks hot: Macadamia Mahi Mahi ($24), Steak Frites ($32), Shrimp N’ Grits ($24) and Vegetable Lasagna ($18). This entry was posted on Wednesday, April 23rd, 2014 at 8:38 am and is filed under Fast Casual, Food, Franchise Activity, Future Plans/Announcements, Growth. You can follow any responses to this entry through the RSS 2.0 feed. You can leave a response, or trackback from your own site.